Virginia Wesleyan’s Bryson Mortensen, Assistant Professor of Music and Director of Choral Music, has received a grant of $71,000 from the E.K. Sloane Fund of the Hampton Roads Community Foundation to underwrite the purchase of a $154,000 Steinway Concert Grand Piano for the University’s new Susan S. Goode Fine and Performing Arts Center. The grant will be matched by funds from other donors to underwrite the full cost. 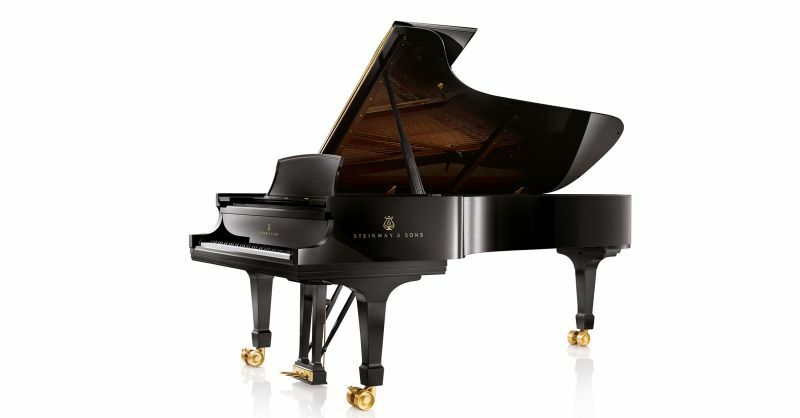 Steinway Concert Grand Pianos are considered the gold standard of musical instruments. Virginia Wesleyan’s piano, a Steinway Series D, will be housed in the 300-seat Joan and Macon Brock Theater and will enhance student performances and attract high quality outside artists. The 23,000-square-foot Goode Center, scheduled for completion in 2019, will also boast a grand lobby, supporting spaces for the performance venue, and a plaza for outdoor programming. The arts are thriving at Virginia Wesleyan in the Susan S. Goode School of Arts and Humanities. The University’s performing arts faculty and students continue to delight audiences with choral and instrumental concerts, theatre productions and dynamic performances as part of the Virginia Wesleyan Concert Series. Our fine arts folks consistently feature professional and student exhibitions on campus and throughout our region. The addition of a Steinway Concert Grand Piano will enrich the University’s musical offerings and showcase the prominence of Virginia Wesleyan’s arts program.